The world of civil society, public policy, politics and the news is increasingly loud and raucous. Hence, Hope and Change Ministries is designed to be a commentary site on the news and issues of our day. 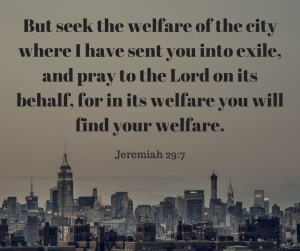 The specific mission is to search the Scriptures and seek what God’s Word commands about our response to events in our world, country, and politics in this day and age. Hope and Change ministries is founded on the belief that as Christians our understanding of God, Christ and the Holy Spirit should inform all of our interactions and opinions both in public and private, in church and in the world. We believe the love of Christ and the power of Holy Spirit dwelling in us should provide an evident and holy contrast to the chaos of the world. Scripture tells us that among the non-believers we should live in such a way that no matter their slanders against us, they will see our good deeds and glorify our God. Therefore, we will work toward keeping our words and deeds respectful and filled with grace, even as we speak the truth as God reveals it to us in Scripture. We don’t seek to make Christ relevant to a dying culture, but instead seek to demonstrate that The Word of God is timeless, and eternally relevant to every age. We hope that seeking the will of God as it applies to our common life will provide Christ-followers with the tools they need to actively engage the world around them while standing firmly on the Word of God. We pray you’ll be blessed by the work done here, and that you will consider partnering with us in the work by: praying for our leaders and Christians around the world engaged in building the kingdom, sharing the work from this site, and sharing your own insights as well. Please contact us if you have any questions, comments or specific prayer needs.